When you're missing a tooth, you feel incomplete. It may affect your confidence in professional, personal, and social situations. Our offices understand and provide swift effective solutions that can help restore your confidence and your smile. 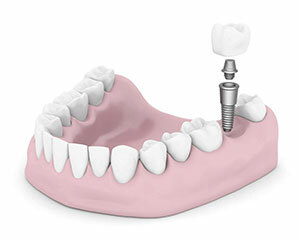 Implant technology is the strongest method for tooth replacement. While bridges and dentures can effectively replace your teeth, they do not perform the same functions as a normal tooth because they are not connected to the jawbone. You could experience bone density loss in the jaw and your other teeth could be compromised. 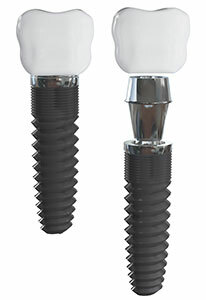 An implant is an artificial root that helps replace the tooth more effectively. After a crown has been placed over the root, you will have a fully functioning replacement that looks and feels like a natural tooth for a permanent solution. Our staff practices the latest methods for this procedure to ensure the highest quality work possible. Work with a professional, compassionate staff for your Elegant Smiles Dental Center dental implants procedure. 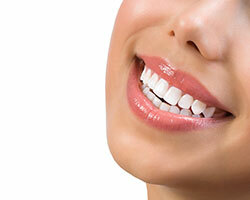 Elegant Smiles Dental Center is ready to help you restore your smile. Call today to set up a consultation. We accept all insurance and all dental insurance plans, too. Emergency services are also available. 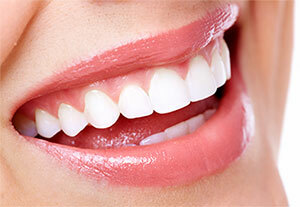 In Oakland, dental veneers can completely transform your smile. Elegant Smiles Dental Center offers quality care for patients looking for a solution that helps them recover from serious damage and decay. We can provide this restorative procedure. Veneers are custom cast overlays that can cover uneven teeth, teeth with worn enamel, or damaged and decayed teeth. There is three major types that we offer our patients: porcelain, resin composite, and Lumineers. There are several advantages to these designs. They are resistant to stains, have a natural look, and can last up to 20 years. It is a fairly simple procedure with several steps. Impressions are made of your teeth to ensure a proper fit. Once size and color are chosen, our staff cements them into place. All of these methods are proven to turn around a smile, offering a permanent solution. Veneers do have to be taken care of, so make sure that you continue to maintain good at home oral hygiene to get the best results. For Oakland dental veneers, the expert cosmetic dentists at Elegant Smiles Dental Center are ready to introduce you to the right solution for you. Call today for a consultation. We have same day appointments available. No matter what age you are when you start thinking about getting braces, the idea of sporting a mouth full of brackets and wires is probably a turnoff. Fortunately, there’s a cutting-edge solution for you. Elegant Smiles Dental Center is an orthodontics center that offers Invisalign braces to the people of Oakland. With Invisalign, Elegant Smiles Dental Center offers you the chance to undergo the orthodontic treatment you want or need without sacrificing your self-confidence. It’s no wonder that so many people do not like braces: The wires are unsightly and uncomfortable, and they don’t exactly work wonders for your self-esteem. Because Invisalign is invisible and removable, you’ll be able to undergo treatment in a manner that makes you more physically and emotionally comfortable. Give Elegant Smiles Dental Center a call today to set up an appointment for an Invisalign consultation.